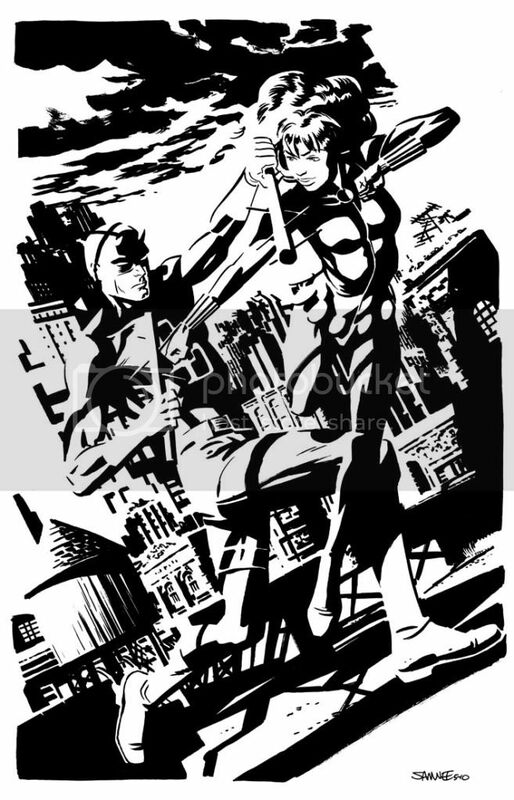 Chris Samnee: Daredevil & Black Widow! Love it. Such great blacks and shadows. Gotta love a water tower too! Great piece, Chris. I love the way you use B&W illustration. Perhaps Hawkeye and Black Widow next time? Just caught the news about TTMA. I'm sorry to hear that for you and selfishly myself as well. You can be sure that I'll be looking forward to what you are up to next.